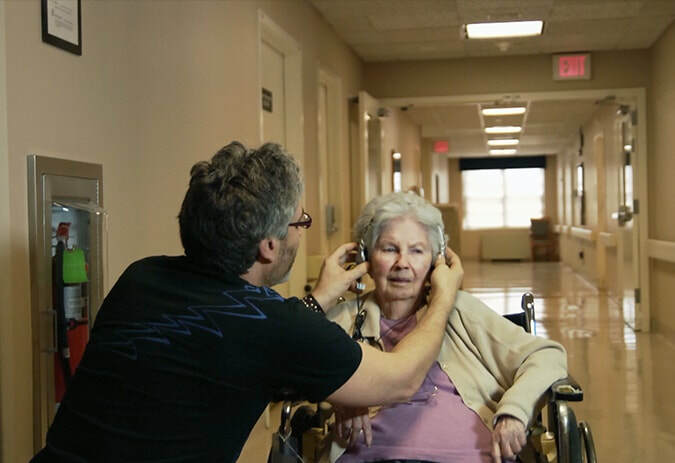 This is a resource page for those who want to think about the enlivening effects of music for people with Dementia and Alzheimer's -- and about the sense of connection that sharing music can bring for those who care for them, including youth. The page is being used among college students in a course called "Music-Community-Spirit" taught by Dr. John Krebs (Music) and Dr. Jay McDaniel (Religion) at Hendrix College in Arkansas. The students in the course did a "service learning" project in which they sang at local assisted living centers. Feel free to use materials from the page in any way you like. ALIVE INSIDE is a joyous cinematic exploration of music’s capacity to reawaken our souls and uncover the deepest parts of our humanity. 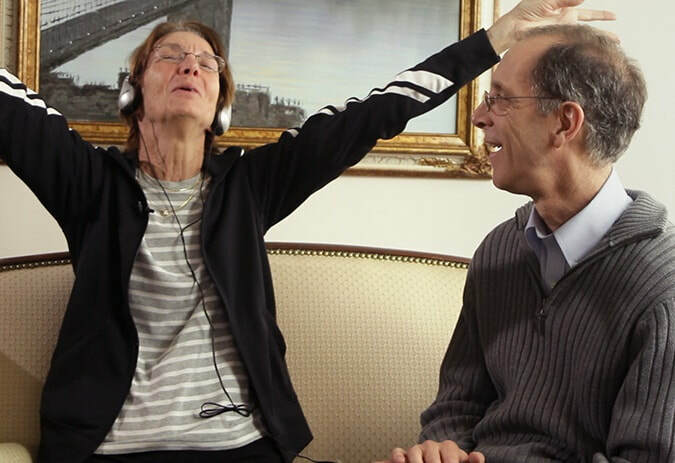 Filmmaker Michael Rossato-Bennett chronicles the astonishing experiences of individuals around the country who have been revitalized through the simple experience of listening to music. His camera reveals the uniquely human connection we find in music and how its healing power can triumph where prescription medication falls short....This stirring documentary follows social worker Dan Cohen, founder of the nonprofit organization Music & Memory, as he fights against a broken healthcare system to demonstrate music’s ability to combat memory loss and restore a deep sense of self to those suffering from it. Rossato-Bennett visits family members who have witnessed the miraculous effects of personalized music on their loved ones, and offers illuminating interviews with experts including renowned neurologist and best-selling author Oliver Sacks (Musicophilia: Tales of Music and the Brain) and musician Bobby McFerrin (“Don’t Worry, Be Happy”). An uplifting cinematic exploration of music and the mind, ALIVE INSIDE’s inspirational and emotional story left audiences humming, clapping and cheering at the 2014 Sundance Film Festival, where it won the Audience Award. The music functions as a way that they experience God, directly, in the music itself and in the momentary joy it brings. They are, in the words of Oliver Sacks, "quickened." This quickening, this aliveness, is enjoyable in its own right; it is what Frederic and Mary Ann Brussat call "zeal" or zest for life. It may be accompanied by an awakening of memories that give her a sense of being a person with a history. It may result in an improvement of her linguistic or motor skills and in her relations with those around her. It may even reduce her need for anti-psychotic medications. These results are all to the good. But the moment of aliveness in itself is a good, even apart from these additional results. It is a moment when she experiences a taste of heaven on earth and when, in fact, her earthly life partakes of deep joy in whom the universe lives and moves and has its being, and whose name is love. She experiences, in that moment, God with a Spacious Heart. ​The moment of aliveness is a building block of God's life, too. "Empathy means you feel the life bubbling inside another being -- that their life matters to you -- that you know you can know them, feel them, and even for a moment become them -- and that together you are part of a web of life. This is the antidote to the epidemic of loneliness that is sweeping the world: greed, seeing people, animals, and the planet as "things' is creating an epidemic of disconnection, violence, sadness loneliness and destruction. This is not what we want. The opposite of this is the path of empathy. You know how to do this. It is in you. You do this with those you love. You do it with your pets. and when you do this the world becomes thick and life becomes meaningful. Now to experience yourself, to experience another, to experience life, it's hard. It's hard to be a mortal. To be alive inside. But life needs you. it needs your powerful heart. Others need you to awaken life in them. We want you to have these experiences we've had. You can awaken another human being and awaken yourself. Are you ready?" "VIOLETA's Story" told by Marian the student who sat with her once a week in the last weeks of her life. from The Alive Inside Foundation on Vimeo. 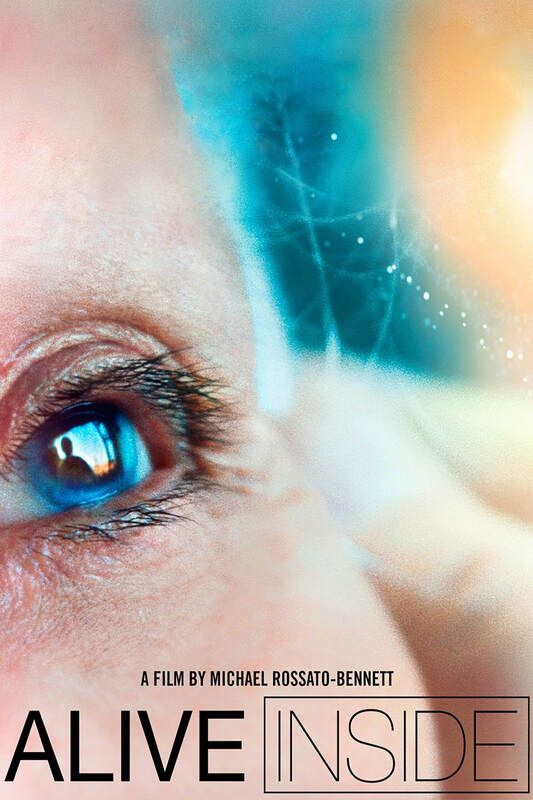 ​​Where is God in Alzheimer's Disease?